Oman, a beautiful country nestled on the Arabian Peninsula, has terrain encompassing desert, riverbed oasis and long coastline on the Persian Gulf, Arabian Sea and Gulf of Oman. The Sultanate of Oman ...View MoreOman, a beautiful country nestled on the Arabian Peninsula, has terrain encompassing desert, riverbed oasis and long coastline on the Persian Gulf, Arabian Sea and Gulf of Oman. The Sultanate of Oman hosts millions of tourists every year and there is nothing you have to stressed-out before visiting the country. 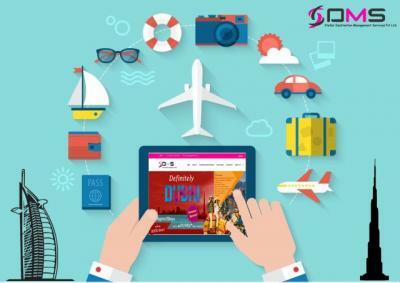 If you are a frequent traveler, you must know that, a foreigner should abide by the law of the hosting country and shouldn’t violate the harmony or indulge in any activity which is knowingly or unknowingly hurts the sentiment of the netizens. Oman is a friendly country and the people of Oman welcome the tourists with open arms. The list of ‘don’ts’, to be taken care of while in Oman is short and is related to the courtesy you have to show to the culture, tradition, religious practices and the way of life they live. The ‘you can do in Oman’ activity is much excited and infinite than the don’ts. •	Do return the courtesy and respect shown to you. Omani people are friendly and embrace their guests whole-heartedly. Greet them with a smile and show respect to their culture and tradition and let them know you are overwhelmed by their culture. •	Do accept refreshments or invitation whenever a local invites you for a coffee or may be for a complete meal. In case if you get familiar with the driver you hired to explore the tourist spots, there may be a chance he can invite you to his place. Don’t decline such invitation and visit the place with gift or flower bouquet as a token of love and courtesy. •	Do understand the public versus private space in Oman. There could be a huge difference between Oman and your home country. Be careful about the clothes you wear. Your clothes shouldn’t reveal or expose your body. At the same time, don’t take pictures of people without their consent. •	Be curious to learn and explore more about the country and its people. Traveling is an activity that not only gives you the opportunity to witness the beauty of a place, but you can also learn a lot about the rich history, culture and many more. Oman has a lot to offer. Try to gain more knowledge about Oman. So, stop hesitating and start packing your bag for Oman. Get in touch with Oman tourist visa agent and start making perfect travel itinerary.